Australia has long been a breeding ground for some of the most violent and chaotic varieties of black/death metal to have ever surfaced from the underground. Although it is almost certainly best known as the birthplace of the incomparable Sadistik Exekution, the Island Continent also later spawned the likes of bands such as Corpse Molestation, Bestial Warlust, Destroyer 666, and Abominator, all of whom began to thrive in the early to mid-1990s and espoused a distinctly bloodthirsty and uniquely Australian brand of extreme metal. 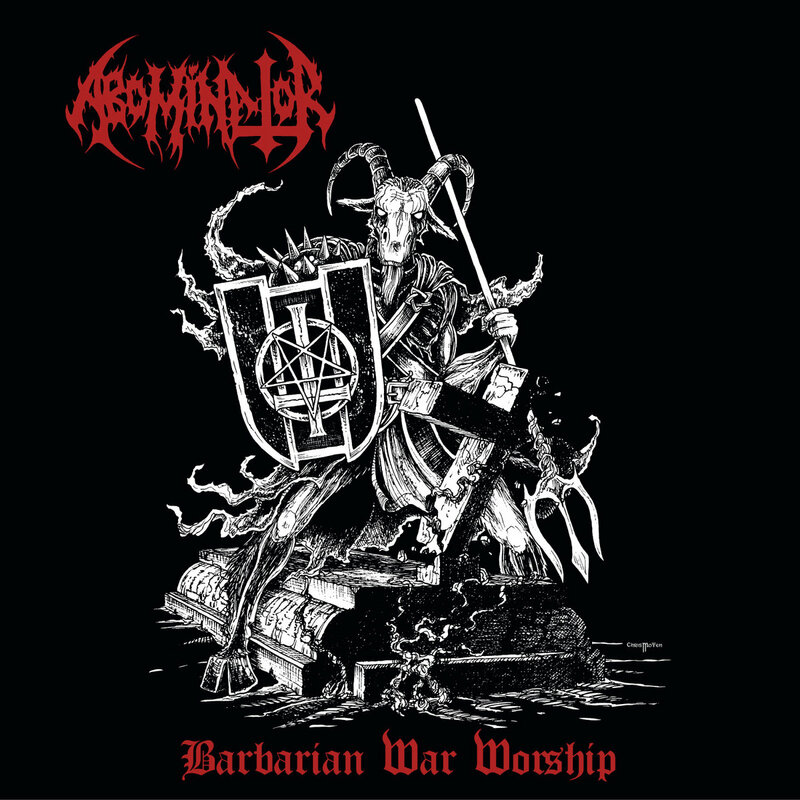 Abominator’s early recordings capture the ferocity of this movement as well as – if not better than – any other from that place and period. Their first demo, “Barbarian War Worship,” was released in 1995, three short years after Corpse Molestation’s seminal “Descension of a Darker Deity” demo. Another two years later, Abominator released their second demo, “The Conqueror Possessed.” Anchored by the viciously precise drumming of Chris Volcano (Destroyer 666, Destruktor, Denouncement Pyre, Ignivomous) and fueled by the riffs of guitarist Andrew Undertaker (Cemetery Urn), these demos exemplify the precise and violent, but still uncivilized attack perfectly foreshadowed by the title of the first demo. First released as a vinyl DLP compiling both Abominator demos in 2010, Nuclear War Now! is pleased to once more exhume these artifacts of battle and offer them on both DLP and CD formats, again under the most appropriate title imaginable of “Barbarian War Worship.” In addition to the two demos in their entirety, this release also includes bonus tracks from 2000 and 2005 studio sessions. Moreover, both CD and DLP versions feature the same cover art as the 2010 release by the legendary Chris Moyen, but also contain an updated and significantly improved layout that includes the original cover art from both demo cassettes, rare band photos, and lyrics to all songs. The audio for the CD release has also been specifically mastered by James Plotkin in order to best match the sound properties of that particular format. In other words, no element has been overlooked in order to present these recordings in the most befitting way possible to all who worship the most barbaric acts of violence.